Article by Writing IE Admin © 3 September 2018 . 2014 saw international bestselling author John Boyne triumph with his story ‘Rest Day’ first published in The Irish Times, beating off stiff competition from Christine Dwyer Hickey, Danielle McLaughlin, Donal Ryan, Frank McGuiness and Ciaran Folen. And in 2015, Man Booker nominated Donal Ryan took the prize with his story (of the same title) taken from his collection A Slanting of the Sun. Read his story here. In 2016, Orla McAlinden won with a story from her collection The Accidental Wife, published by American publisher Sowilo Press in Philadelphia. 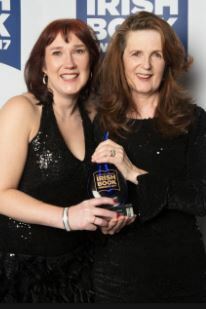 Read her winning story here. In 2017, Christine Dwyer Hickey won with Back to Bones, also longlisted for The Sunday Times EFG competition 2017. Read her story here. The Irish short story has a distinctive place in the modern Irish literary tradition. Many award winning novelists have launched their careers with short stories, gaining recognition through a form that the internet has breathed new life into, by providing writers with new places to publish, making their work accessible to millions of potential readers at the click of a mouse. This category in the prestigious An Post Irish Book Awards, the Writing.ie Short Story of the Year Award, is open to short stories of up to 7000 words published between 1st Nov 2017 and 31st October 2018 in any of the following contexts: a collection of short stories by a single author; an anthology of short stories; or an established journal or magazine, digital or print, that has been in existence for at least six months within the period of eligibility. Stories must be original fiction, i.e. neither a reprint nor adaptation of a previously-published work, and all stories must have been or will be published in English during the qualifying period. The author must be Irish by birth, citizenship or long-term residence. 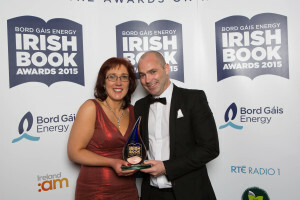 Pictured at the 10th annual Bord Gáis Energy Irish Book Awards, Donal Ryan, winner of the Writing.ie Short Story of the Year award 2015 with Vanessa Fox O’Loughlin. Submissions for the Writing.ie Short Story of the Year Award will be judged anonymously, the long list read by an independent panel. Shortlisted stories will be judged by Simon Trewin, Literary agent and Partner at WME, Bob Johnston of the Gutter Book Shop and Alison Lyons, Director of Dublin UNESCO City of Literature. To submit a story, please click here.